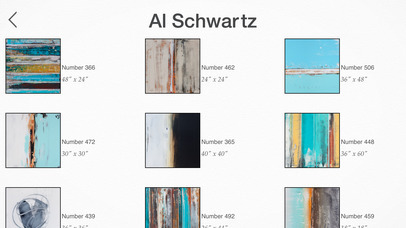 View your chosen works from Al Schwartz’s studio instantly to scale on your home’s walls. Intuitive, fast, no measuring required. Just shoot a photo and view beautifully superimposed art. 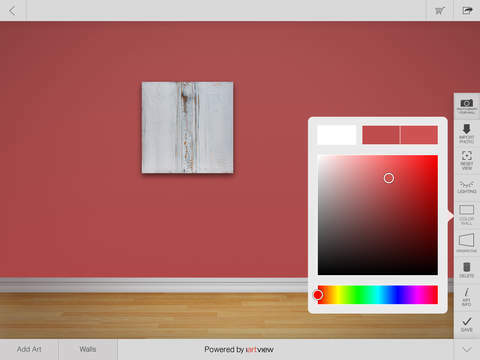 Share your new walls with friends via Facebook, Twitter and email. Save walls to camera roll for handy future reference. 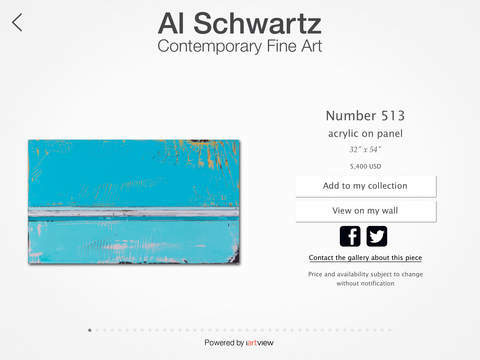 Receive instant notifications to stay informed of Al Schwartz’s new works from the studio, exhibitions and updates. 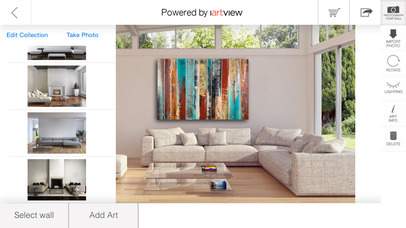 -iArtView technology automatically scales paintings to your wall space dimensions. No measuring required. 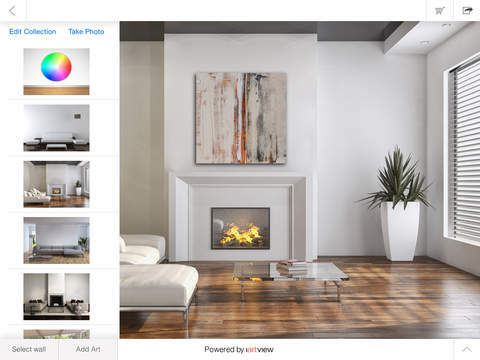 -View single or multiple artworks on the walls of your home or provided designer walls. -Simply “drag and fro ’ artworks into position. - Adjust lighting. Rotate and angle artwork. There is even a color wall! 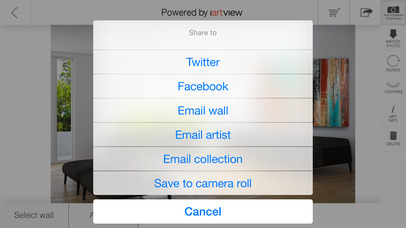 -Share artworks and walls with friends via Facebook, Twitter and email. -Send inquiry emails with images of artworks auto imbedded and ready to send. -Studio gallery information with GPS map directions. 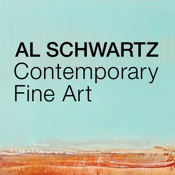 -Instant notifications of Al Schwartz’s latest works and events.